Pond Science - “What is it?” “What does it have to do with me?” Children ages six to eight will be exploring at the BYM pond to learn about classifying natural objects. Bend the Light - Students will explore how light travels, make a camera obscura out of household materials and much, much more. What’s up with Small Stuff - What is a nano? How big is a nano? Learn how small things act different-ly than big things. Learn and explore our world on the nano level. Shocking Science – Static electricity is a phenome-non that most of us have experienced through sight, touch or feel. Participants explore the laws of attrac-tion and repulsion and the love-hate relationship between electrons and neutrons. Gooey Science - Explore non-Newtonian fluids with the help of Dr. Seuss and his book Bartholomew and the Oobleck as your guide. Learn how to make up to three types of gooey fluids and learn why certain fluids break Newton’s Law of Viscosity. Newton’s Workshop – Explore Isaac Newton’s theories. Use balls and tracks to build a series of constructions that display force and motion. Additionally students have a chance to discover how Newton used optical devices to prove some of his theories. The Senses – “Did you hear that?” “Did you see that?” “Wow! This feels cold!” Students discover how our bodies perceive the world through an exploration of the five senses. Touch, sound, sight, taste, and smell are explored in this workshop. Astronomy from the Ground Up – Our galaxy is a very exciting and complex system. Students will be introduced to the basic concepts of astronomy and cover topics about the solar system, Moon phases, comets, and orbits. 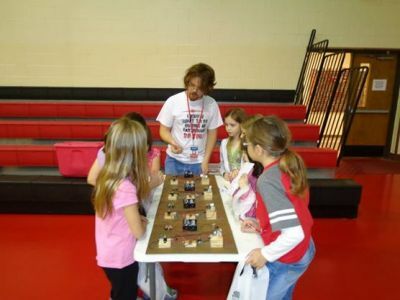 Earthquake Science - Using the Great New Madrid Earthquakes of 1711-1712 this workshop explores the history of ground movement in Southeast Missouri and why earthquakes happen. Pass the Bubble(s) Please - Students will explore the thinnest substance a human eye can perceive. They will stick a pencil through a bubble without popping it and make bubbles with CO2. 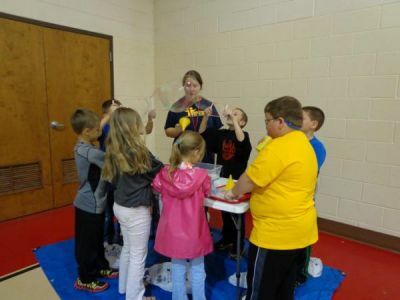 Bubble science is fun, exciting and sure to make every little scientist giggle and smile. Please call the museum during regular business hours for prices and other information about the workshops.